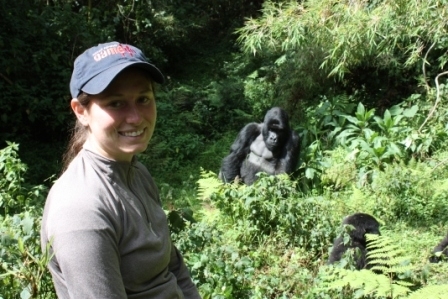 One of our favorite customers moves to…Rwanda! Tags: "Annie's Blue Ribbon General Store", "Imbabazi Orphanage"
One of our favorite customers, Devon Kuntzman, moved to Rwanda last August from Brooklyn to help make a difference in this war torn country. Now she works in an orphanage for children who lost their parents in the 1994 genocide or in refugee camps. Most of the children have “seen their families killed, or watched their parents die in squalid refugee camps. Many have no memories of their families or what towns they are from.” I can’t imagine the hardship she must now see on a daily basis, although it sounds like the children (most of whom are older) have really created a family. Devon has worked with kids for a long time, we met when she was a nanny for a wonderful family across the street from the shop (she introduced us to Banangrams, one of our all time best selling items!). Now she is busy at the orphanage taking care of the gardens (the orphanage is also a flower farm), creating a tourism project, researching how to start a beekeeping project and overseeing the children’s diet. Rwanda is also home to the endangered Mountain Gorillas, so this awesome shot was taken of Devon while on a hike in the Karisimbi Mountains where they were able to spend an hour with these amazing creatures. Click here more info on the Imbabazi Orphanage. Cheer to Devon, we miss you in Brooklyn! 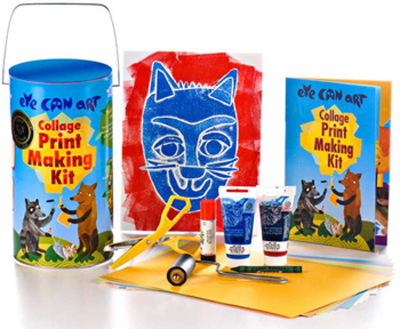 Art Kits for all ages! 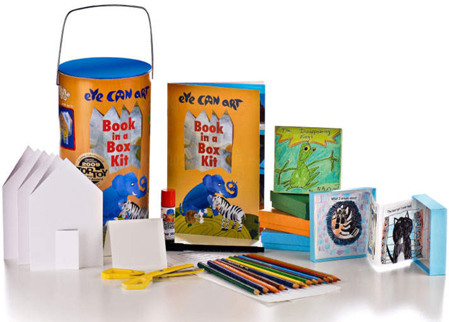 Tags: "Annie's Blue Ribbon General Store", "Book in a Box", "Collage Print Making Kit", "Cool art kit", "Pastel Stencil Kit"
Check out these new art kits we just got in– lots of ideas for creative play! From top to bottom we have The Collage Print Making Kit, The Pastel Stencil Kit and The Book in a Box Kit, which all include everything you need to make the projects above AND MORE! Packed in beautifully designed large tubes, they are for ages 4 to 94, (4 to 8 with an adult) and were created by artists and art educators. Read more about them, and what’s inside on our site (and lots more Art Supplies too! 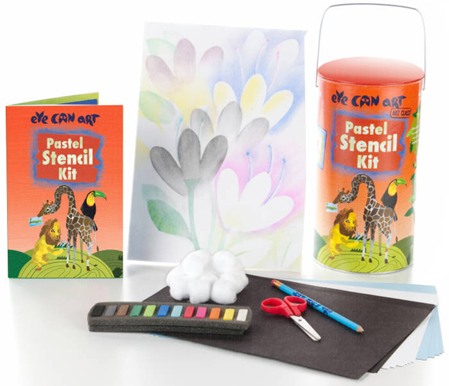 )– Collage Print Making Kit– $25, Pastel Stencil Kit– $20, Book in a Box– $24. Tags: "Annie's Blue Ribbon General Store", "Notable Mustaches- Character Edition", "Notable Mustaches- Classic Edition", "Self Adhesive Mustaches"
-Dare to wear facial hair! These fun notable (self adhesive) mustaches are sure to be a crowd-pleaser! From the Character Edition with Magnum, Mario and Einstein to the Classic Edition with the Pencil, Handlebar and Biker you will brighten up any occasion bringing along this fun pack of mustaches. Notable Mustaches- Character Edition, Notable Mustaches- Classic Edition, $6.75 each. 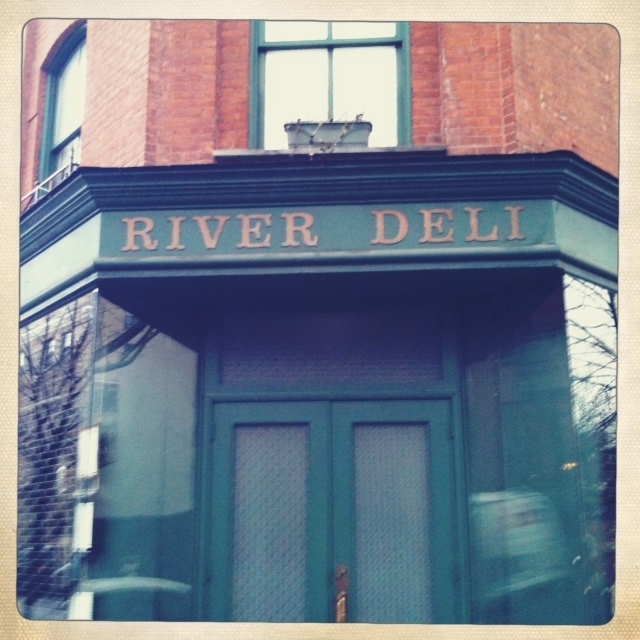 Tags: "Annie's Blue Ribbon General Store", "Four and Twenty Blackbirds Pie Shop", "Frankies 457", "Iris Cafe", "Jill Valle Photoblog", "River Deli"
My dear friend Jill spent part of her Spring Break with the me and the Big Gorilla in Brooklyn. There’s nothing like Spring Break in Brooklyn when it’s HAILING outside (yes, for those of you outside NYC, we got pelted with a crazy storm last week- snow/hail/wild thunder & lightning/rain–you name it). 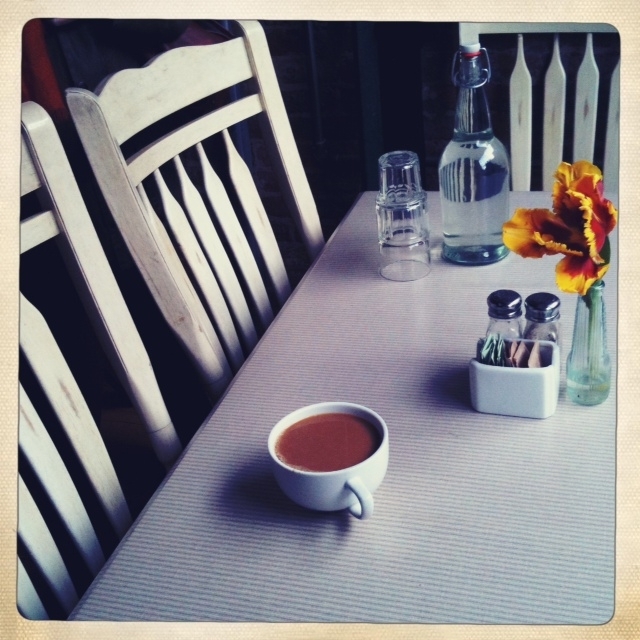 We managed to have a GREAT time though, mostly eating our way through Brooklyn– and I thought I’d share some of our highlights- all taken with Jill’s Hipstamic for the iPhone (yes, it’s true its my favorite app too!). 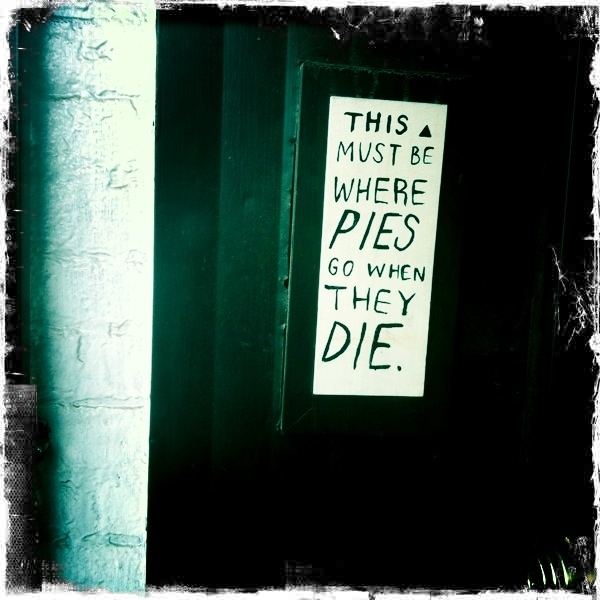 First up is Four and Twenty Blackbirds Pie Shop in Gowanus. It was about a 25 minute walk from the shop and worth every minute. Truly the best pie I have ever had! We tried a couple but the Salted Caramel Apple blew us away. As soon as you walk into this cute spot you are not only sucked in by the wonderful aroma (how do people work there every day without weighing 300 pounds? 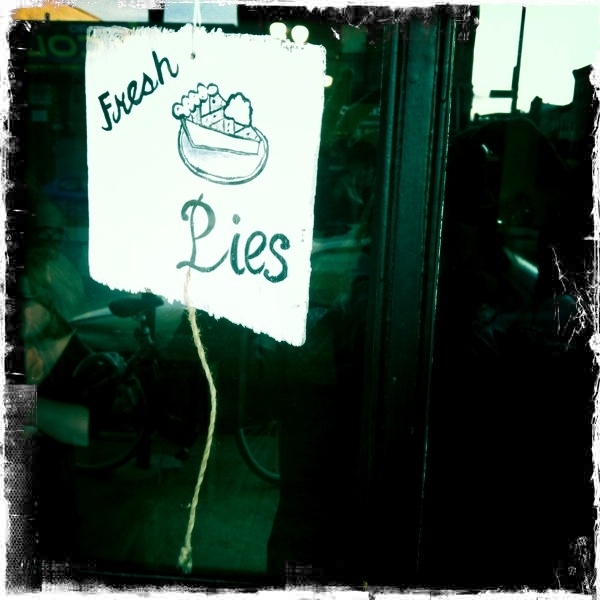 The wonderful smell of fresh baked pies would have me munching all day long!) as well as the charming atmosphere. The Gorilla and I will have to go back for breakfast because I heard the coffee is delish and the Egg in a Nest looks intriguing– a whole different ballgame from the piece of bread with a whole in the middle you might get somewhere else. Major thumbs up! Speaking of breakfast, I had to take Jill to try my favorite breakfast sandwich of all time, the Breakfast Baguette from Iris Cafe in Brooklyn Heights. Oh Iris, how I love thee. Jill ended up going back every morning of her visit to have one, they are THAT good! Serrano Ham, Hard Boiled Eggs, Lettuce, Tomato and a lovely chutney (they changed this up on me a few months ago, it used to be a salsa/mayo which I also loved), nicely salt and peppered to perfection. They are open till 5pm too, so try them for lunch or dinner- in fact I think they are trying to get their liquor license so I may never leave. The Gorilla loves their Stump Town Coffee too, and I buy him delicious, local honey from there too for a special treat. 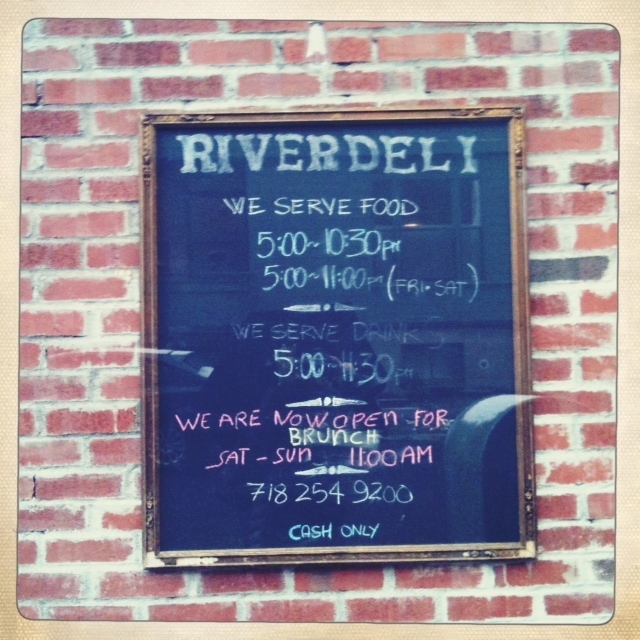 Down the street from Iris is another one of our favs, River Deli. YUMMMMMMM. It’s quite unassuming and walking by during the day the first few months I wasn’t even sure it was open for business, but once I tried it once- I was hooked! Heavenly Italian food at equally heavenly prices. We always start with the bruschetta plate, 4 huge pieces of bruschetta with the best toppings ever, on fabulously chewy Italian bread. We had the Tagliatelle the other night, but everything I have ever gotten there is so yummy. Again, just like 4 & 20 and Iris, the atmosphere also adds to the charm. 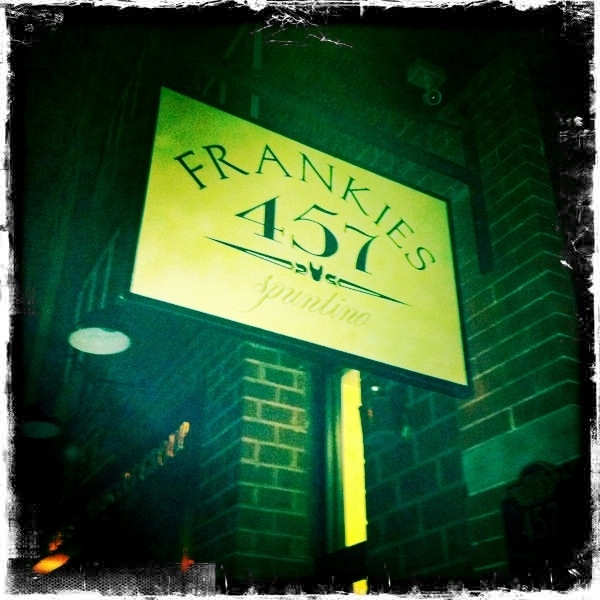 We always try to go to another Italian staple when Jill is in town- an oldie but a goodie, Frankies 457 in Carroll Gardens. Luckily we got there early so didn’t have to deal with the usual 1 1/2 hour wait quote we usually get- but by the time we were leaving it was packed. The Gnocchi and the Cavatelli with Sage Butter Sauce/Sausage are our favorites but again, everything I have ever tried there is incredible. I have a special place in my heart for Frankies, I had a fun birthday party there one year as well as our Rehearsal Dinner (in their back stable). We wanted to try Brooklyn Farmacy for a Pink Poodle Milkshake afterwards, but we were just too full– maybe next time! It’s Saturday Night- time for a glass of vino…. cool wine openers! Tags: "Annie's Blue Ribbon General Store", "Bamboo Wine Holder", "Electric Rabbit Wine Opener", "Original Rabbit Wine Opener"
Opening a bottle of wine just keeps getting easier and easier– especially with this Electric Wine Opener from Rabbit. Fun + Functional= Happiness. 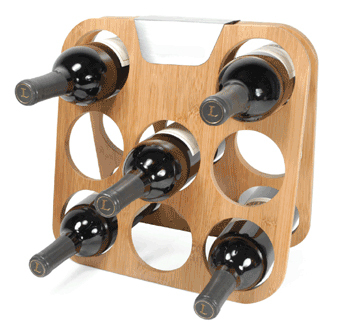 We also of course have the original Rabbit, below, and even this cool new Bamboo Wine Holder. Check them all out and more in our Bar Section. 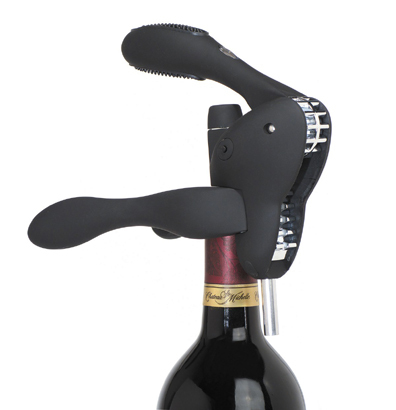 Rabbit Electric Wine Opener– $49.95, Original Rabbit Opener– $49.95, Bamboo Wine Holder– $36. Tags: "NY Field Notes", "NY pencil set"
Someone bought these two gifts together the other day in bulk- 24 each of the NY Field Notes (set of 3 notebooks in Blue, Red, Yellow to represent the County Fair ribbons) and 24 sets of the New York pencils and I thought they were so fun and clever together I wanted to share. 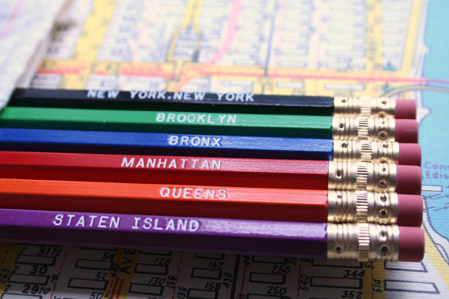 Fun gifts to give together for someone missing NYC, or if you are traveling to visit friends! 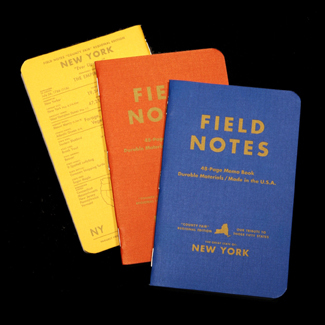 NY Field Notes, pack of 3- $9.95, NY Pencil Set (set of 6 in cute muslin bag)- $10. I’m a Junkie– Japanese Quince Junkie that is…. Hand Cream & Soap to match our favorite scent! Tags: "Annie's Blue Ribbon General Store", "Japanese Quince Hand Cream", "Japanese Quince Hand Soap", "Japanese Quince Room Spray", "Japanese Quince Toile Pagoda Candle"
We LOVE the scent of our Toile Pagoda Japanese Quince Candle at the shop so when we saw there was a Hand Soap and a Hand Cream as well, we jumped to order them. 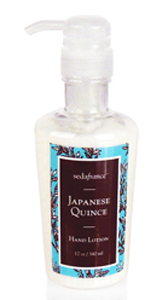 We are true Japanese Quince Junkies, and the lotion, etc. let us keep our favorite scent with us even longer. People always comment that it smells soo good in the store and we always attribute it to the wonderful smelling Japanese Quince Candle. Now you can keep the rhubarb, passion fruit, peach and jasmine scent with you all day! 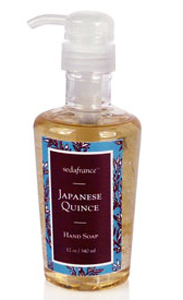 Toile Pagoda Japanese Quince Hand Soap– $15.95, Toile Pagoda Japanese Quince Hand Cream– $25.95. and don’t forget the candle and room spray too!